“Tom Holland Seems Cool, But We Kind Of Wanted a Less-White Spiderman”. Unfortunately the leak of a Sony e-mail saying that Peter Parker had to remain white and heterosexual was terroble PR making them look racist and homophobic but really that was just lawyer talk for “make no drastic changes to the character please”. Okay I’m black. 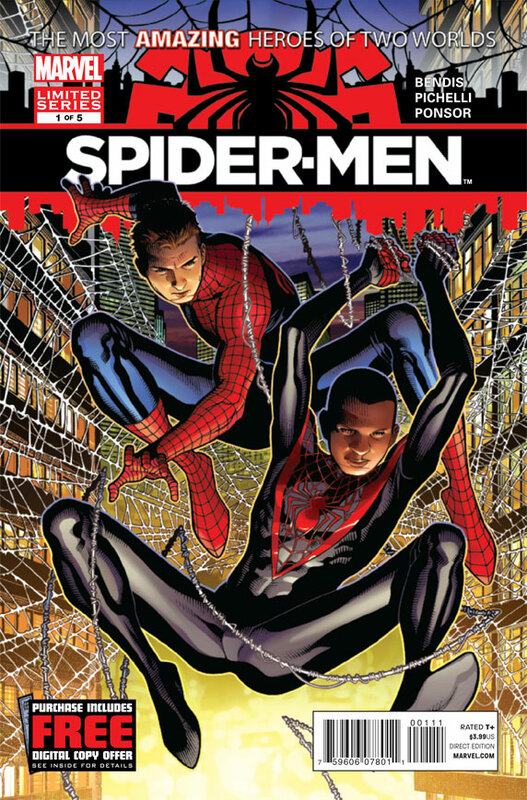 I like Miles Morales (the black Hispanic kid who became Spider-Man in the Ultimate universe). But I have loved Peter Parker since the 80s. Peter Parker’s white. Get over it. Word, like I said, I’m black and I’m not homophobic. But if they changed Peter Parker to being black or gay he wouldn’t be Peter Parker. That means nothing to some of you but if you’ve loved the character for most of your life it means alot. I’ve been reading comics since I was 6, that’s 30 years of loving Peter Parker as the nerdy, unlucky white dude. Change his race or sexuality and it’s no longer the character I grew up with. Co-sign “we are not open to having our childhoods stomped on”. It would be worth bitching if they insisted that a black character be white. They weren’t insisting that Spider-man be white, they were insisting that PETER PARKER stay white. Which means they could still have a black Miles Morales as Spider-man. But insisting that a white character stay white shouldn’t even have to be said, that’s just political correctness gone crazy. Peter Parker is a white heterosexual male. It’s who he was, it’s who he is. Get over it. I have no problem with gay characters. I obviously have no problem with black characters. But like every self respecting nerd I have a problem with the sanctity of what we call canon, the universally accepted settings, personality and history of our beloved characters. When Nick Fury turned up as a very black Samuel L Jackson instead of the white guy I knew from the comics I thought, “huh?” But Nick Fury was a one dimensional character anyway, so he got a pass. He’s no Peter Parker. You want a black, gay superhero in the cinema? Invent one. Then publish it as a comic book. For decades. Then let it become one of the most iconic heroes of all time. Then finance a movie. Until then, leave my favourite comic book character the hell alone. I’m not a race traitor or a homophobe. I’m just a nerd. No self-respecting comicbook nerd wants Peter Parker’s race, ethnicity, catchphrases, sexuality, or general personality to change.